Do you need a roof replacement in Dothan, AL that you can afford? Finally, you can get a high quality roof installed with a 50 Year Warranty and get a great price too! Replace your old roof with a long lasting new one for less money than you think! 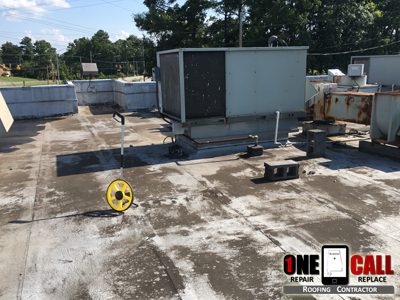 Whether you own a home or a business, have a shingle, metal or flat roof; we can remove and replace it quickly and properly. We work on your behalf with insurance companies and we also have access to 100% roof financing. The very first thing that needs to happen before you have your roof replaced is a thorough roofing inspection. This involves the inspection of your roof from inside and outside your home or business. We look for any areas that may need to be repaired or replaced in your decking, rafters, fascia, valleys and ridges. We perform roof repair on any issues that need to be addressed then have our roofing professionals expertly install your new roof. If you’re looking into having your roof replaced with a new one, chances are you want to know how much money it will cost. The average cost of roof replacement in Dothan, AL including removal of the old roof, runs between $4.50 per sqft to $5.50 per sqft. Some roofers use the term roofing square (1 Square = 100 Sqft) when quoting the cost of roof replacement. For example, if the roofing area of a home is 1800 sqft, then you would multiply 1800 x $4.50 which would equal to $8100. 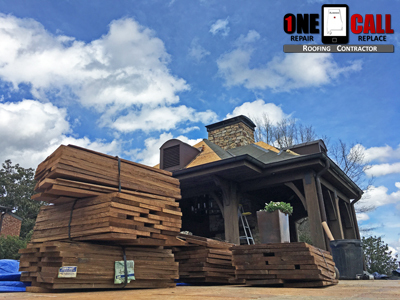 Keep in mind that while this would include all materials, labor and insurance; the price per square foot could be more depending on roofing material and roofing accessory choices you make. We’ve been replacing and installing new roofs in Alabama for more than a decade and our reputation is second to none. We have more 5 Star Google Reviews than most roofing contractors in the entire state, have an A Rating with Angie’s List and earned 5 Stars with the BBB. We provide professional roof replacement in Dothan AL.